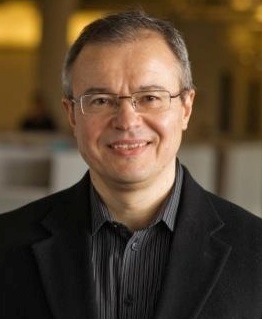 Igor Grachev, MD, PhD, is Global Head of Neurology, Medical Affairs for GE Healthcare, Clinical R&D programs. He is a Neurologist, Psychiatrist, Neuroscientist, drug developer, Translational Medicine, Medical Affairs and PET/SPECT/MRI imaging expert with over 20 years of extensive Pharma industry, academic and CRO biomedical research experience who joined industry from Academia in 2002 and has had roles of increasing responsibility and scope at Schering-Plough, Sanofi-Aventis, Merck, BioClinica, Merck Sharp & Dohme Corp and GE Healthcare. All his industry roles have involved the application of imaging, biomarkers and clinical neuroscience to drug development. Dr. Grachev is a member of the Coalition Against Major Diseases (CAMD), Parkinsons Progression Markers Initiative (PPMI) & Michael J. Fox Foundation (MJFF), QIBA DCE-MRI, FDG- and amyloid-PET steering committees of RSNA, ADNI and ADNI2, Society of Nuclear Medicine, International Society to Advance Alzheimer Research and Treatment and has written and co-authored over 100 clinical research scientific publications including chapters on imaging biomarkers/technologies in three books Methods in Pain Research (CRC Press),Complex Regional Pain Syndrome (IASP Press) and Imaging in CNS Drug Development (Springer Science, NY), and served as a Chair of Industry Scientific Advisory Board for PPMI-MJFF, 2010-2011. 3) Expert in clinical biomarkers and the following Imaging modalities: PET, SPECT, and MRI (Gd-MRI, vMRI, fMRI, MRS, DCE-MRI).